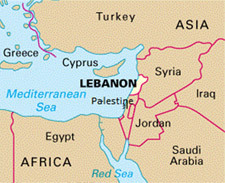 Lebanon is a country in the East Mediterranean. It is bordered by Syria to the north and east and Palestine occupied territories to the south. 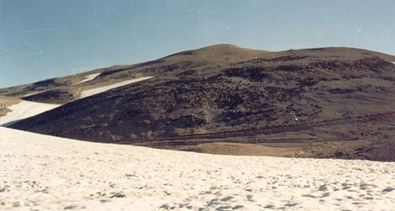 Lebanon's location at the crossroads of the Mediterranean Basin and the Arabian hinterland. Evidence of early settlements was found in many cities and villages all over Lebanon, especially on Lebanese coast. Archaeologists discovered remnants of prehistoric huts with crushed limestone floors, primitive weapons, and burial jars left by the fishing communities who lived on the shore of the Mediterranean Sea over 7,000 years ago.